FujiAddict posted the first correct information about the Fujifilm GFX 50R and X-T3 coming to Photokina 2018 last year and now the details are starting to get shaky thanks to everyone wanting to be on the GFX R bandwagon. 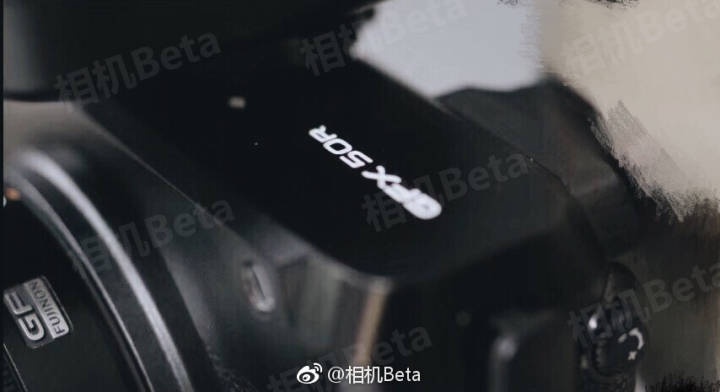 This camera is going to be huge for Fujifilm and most of what has leaked falls within our original rumors except for the $3,600 price tag that Photorumors received the other day. Now Camerabeta, which leaked the above photo has come back with a $4,500 price tag. Fujifilm X-E3 style with similar button layout, no ISO dial, and only shutter and exposure. I think we can all infer more from what’s leaked, but the announcement isn’t very far away and I would rather be conservative about my reporting. Some sources are better than others and I hope to maintain high standards for out leaks instead of back peddling on rumors all the time like other sites do. Make sure to join us on September 25th for our live blog for the best Fujifilm Photokina coverage around. Fujifilm has an event scheduled for September 25th at 07:30 AM York time, which is when we expect the announcement to occur so stay tuned. This entry was posted in Fujifilm GFX, Fujifilm GFX 50R, Fujifilm GFX 50S and tagged Fuji GFX, Fuji GFX 50R, Fuji GFX50R, Fuji Rumors, Fujifilm, Fujifilm GFX 50R, Fujifilm GFX50R, Fujifilm Rumors, FujifilmRumors, Fujirumors, GFX, GFX 50R, GFX50R, Medium Format, Super Full Frame. Bookmark the permalink. Trackbacks are closed, but you can post a comment.